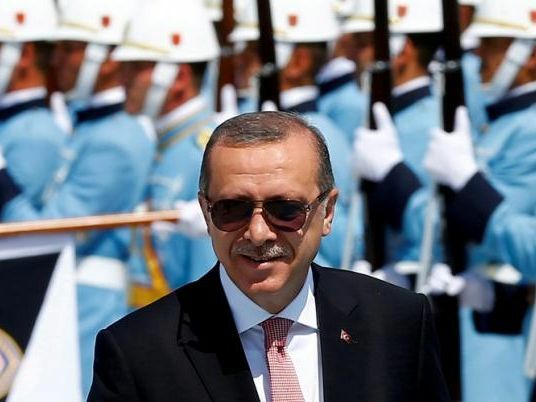 Turkish President Recep Tayyip Erdogan on Friday approved holding a national referendum on constitutional reforms that would usher in a powerful presidency, a change he has strongly advocated. Erdogan signed off on the bill, paving the way for the country's electoral board to set a date for the referendum. The bill envisions granting the office of the presidency — currently a largely ceremonial position — the power to appoint government ministers and senior officials, dissolve parliament, declare states of emergency, issue decrees and appoint half of the members in the country's highest judicial body. Parliament had approved the reform package in hotly, and at times violently, debated sessions last month. The proposed changes were backed by a majority of lawmakers in the assembly but failed to clear the threshold needed to come into force without a public vote. Deputy Prime Minister Numan Kurtulmus said the referendum was likely to be held on April 26. "I believe that (the reforms) will receive a large amount of 'yes' votes, and we will move to a more healthy model of administration," Kurtulmus said. Critics say it would concentrate even more power in the hands of a leader they accuse of authoritarian behavior with little tolerance for dissent. Campaigning for and against the reforms has begun with supporters of the bill having the upper hand and dominating air time. Opponents of the bill complain that they cannot get their views across to the public in a country where most opposition media has been silenced.